PDF is a very popular file format, created by Adobe in 1993. Its purpose is to create documents that will look exactly the same everywhere, even when printed. The only problem is that usually, the information contained in this type of files is not easily modified nor extracted by a machine. As expected the information it contains is arranged in a way it makes it easy to display the document, but makes it almost impossible to be read without a PDF reader. To have an idea of how a PDF looks in its interior, open a PDF file with any text reader such as notepad in Windows. For those who’d like to have an introduction about the structure of PDF files, please read this carefully written article. About a year ago I built a software utility to convert huge PDF tables to Excel files in order to work and manipulate their data. Born as an informatics project, a new game has arrived: Phiball. It’s the result of the work and effort of a very active and motivated team. The game is in fact a mix of the classic Brick Breaker game with sophisticated physics and ‘à la Mario’ stars. It’s a java based game and uses pulpcore and jbox2d under the hood. Try to reach all the stars in each of the 10 levels by shooting the canon. 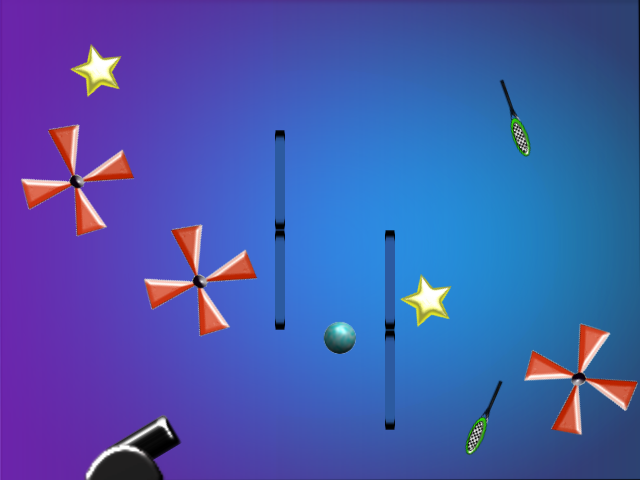 Hint: you can change the ball’s impulse by varying the time you press the left mouse button.